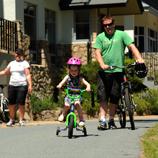 Here you can download price lists of Thredbo & Jindabyne apartments. Be sure to review our lists before getting a quote for your accommodation. When you request a quote, we'll email you photos and descriptions of the accommodations. Ski Kaos has a selection of private self-drive accommodation in Thredbo & Jindabyne. The price lists below are not exhaustive, merely examples of the best deals. Most of the choices are exclusively available through Ski Kaos. » Use the price list as a guide, and then fill out a quote form. » Take a little time now to save yourself some money on your holiday. IMPORTANT: Our lists are not comprehensive, but serve as good price-examples. Please fill out Get Accommodation Quote form, even if these choices do not suit.